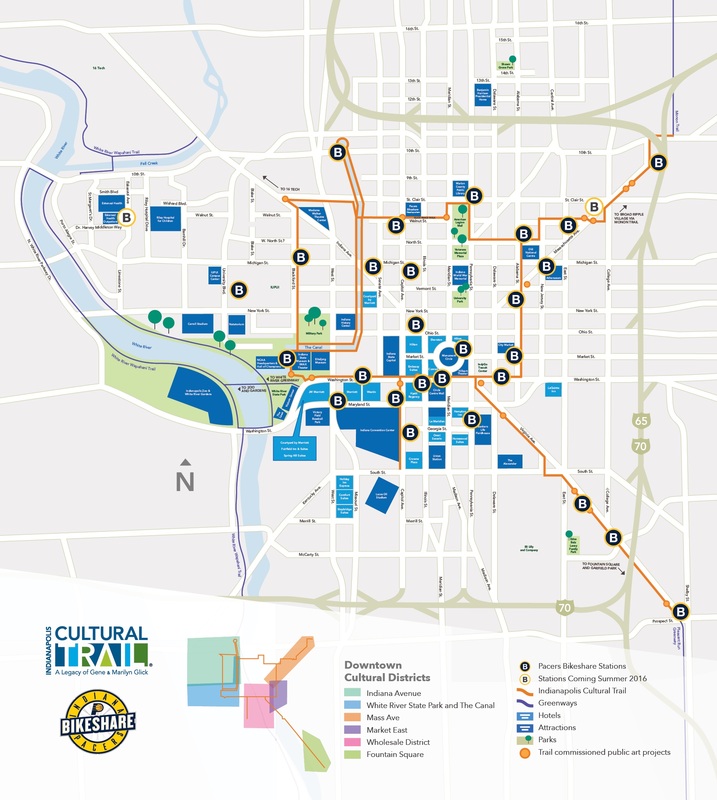 For urban exploration, the Cultural Trail is one of the more unique running options in the U.S. This 8-mile urban bike and pedestrian path makes a loop in and around the urban core of the city. Most of the trail includes split walking and biking lanes, plenty of greenery, and an amazing collection of public art. 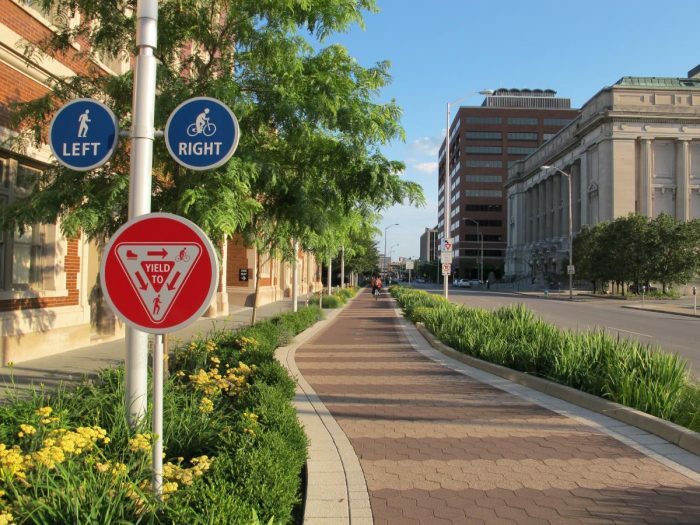 The trail connects to 6 Cultural Districts including Fountain Square, Indiana Avenue, Mass Ave, The Canal & White River State Park, and the Wholesale District. The trail also connects to the Monon Trail, opening up access to Broad Ripple and Carmel.